With the popularity of compact SUVs pointing ever upwards, it was only a matter of time before a manufacturer broke ranks and added a sporty derivative to their line-up. 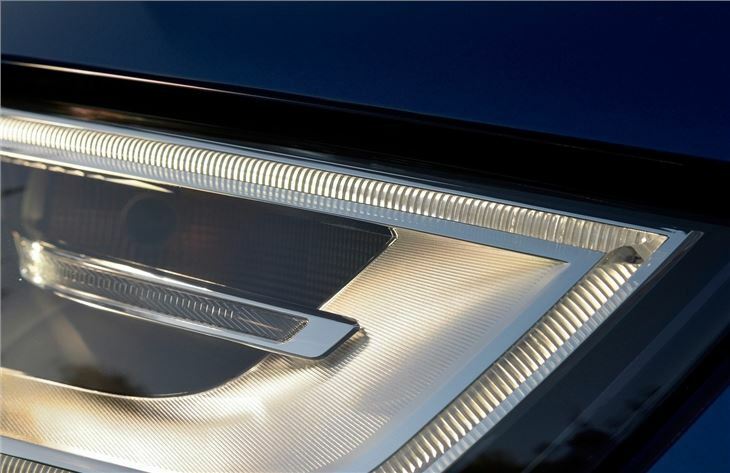 Indeed, Q3 sales have increased by 50 per cent over the past 12 months, so it’s perhaps not surprising that Audi has moved first to give its SUV a performance makeover. The decision to slap the much vaunted RS badge on the Q3 will be seen as sacrilege by some, but Audi assures us that its move to beef up its compact SUV will enrich the brand rather than diminish it. 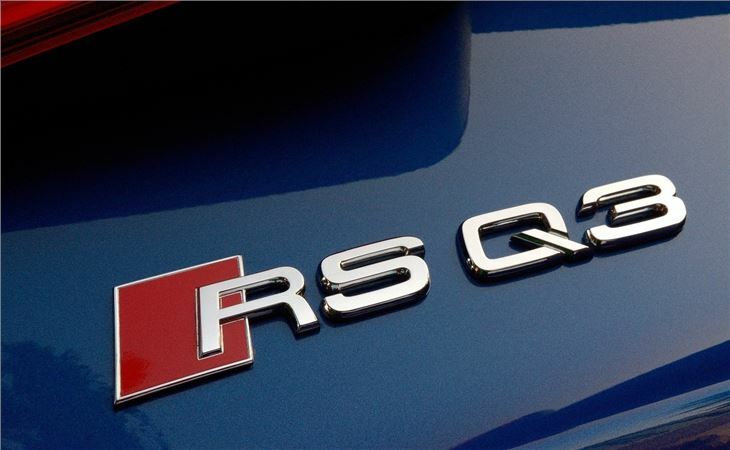 In fact, the RS Q3 will be the UK’s first compact SUV with performance, but with rumours abounding that Land Rover and Mercedes-Benz are working on similar projects with the Evoque and GLA, we feel a new market segment is already on the way. 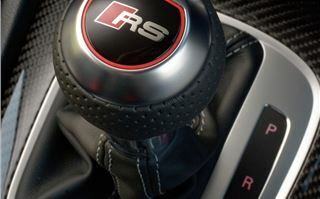 So, what’s the RS Q3 like? 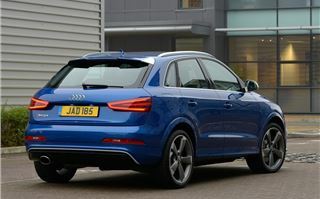 Well, first things first, you’ll need to part with £43,000 to get one of these onto your driveway, which makes this by far the most expensive Q3 in the range. 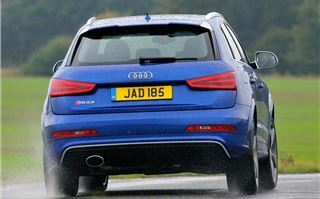 Unlike the standard models in the range, the RS edition gets a five-cylinder 2.5-litre turbocharged unit, with a thumping 310PS and 420Nm of torque. 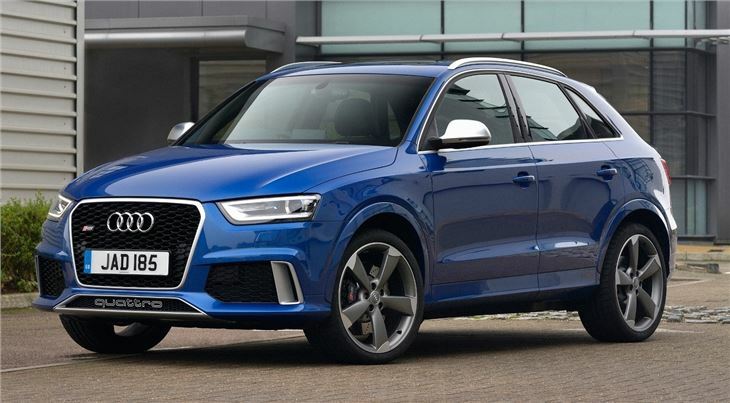 Audi claims the RS Q3 will accelerate from 0-62mph in 5.2 seconds before reaching an electronically restricted top speed of 155mph. Obviously, with a car that weighs 1655kg, you want some heavy duty anchors to bring you to a halt and Audi has obliged by fitting high-performance, anti-fade discs with 8-piston calipers at the front and single-piston calipers at the rear. 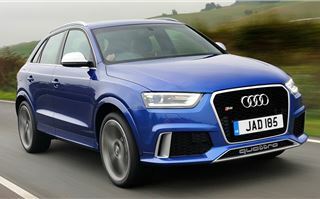 With this much performance kit, you’d be forgiven for thinking that the Q3’s fuel economy will be in single figures, but Audi says it will return 32mpg and emit 206g/km of CO2, which means a year’s car tax will be £280 a year. So far so good. Inside the changes are less obvious. Bar the RS branded steering wheel and instrument cluster, you’d be hard press to tell that this is a high performance car. Like the standard Q3, the RS edition gets 356-litres of boot space and a large and airy cabin, with plenty of space for four adults. All of the controls are simple to find and everything feels like it has been put together with purpose. 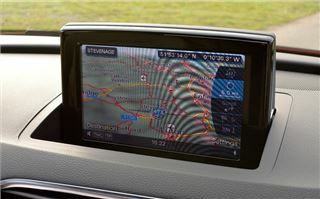 Some manufacturers would do well to take direction from Audi’s interiors department, because its cabin qualities are some of the best in the business and the Q3 is no exception. 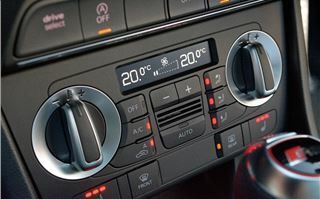 Fire up the 2.5-litre turbocharged engine and the exhaust burbles away nicely as you engage the automatic box, which in this case is a seven‐speed S tronic twin‐clutch transmission. There's no manual. 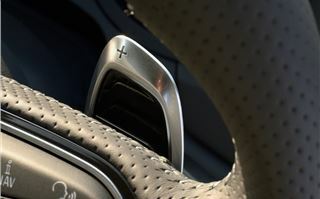 The Q3 does get a pair aluminium gear shift paddles, located behind the steering wheel, which enhances the sporty feel. 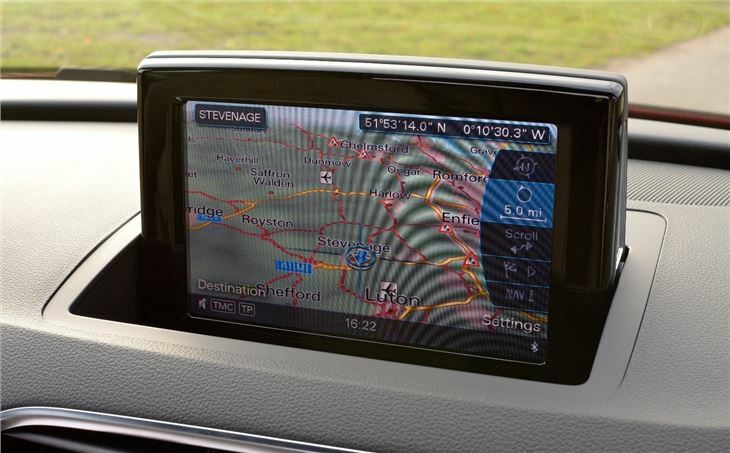 However, on the road, at lower speeds, the RS is a bit of an anticlimax, with the auto ‘box and four-wheel drive eradicating the robustness you usually experience with a high performance vehicle. 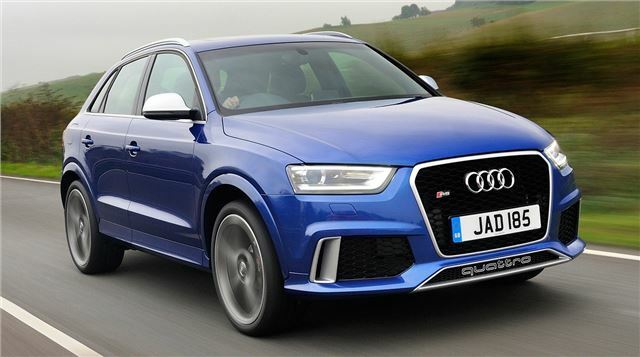 Punch the throttle, however, and all of this changes as the Q3’s deep low burble builds into a loud roar and the 2.5-litre engine propels you into the wide yonder. 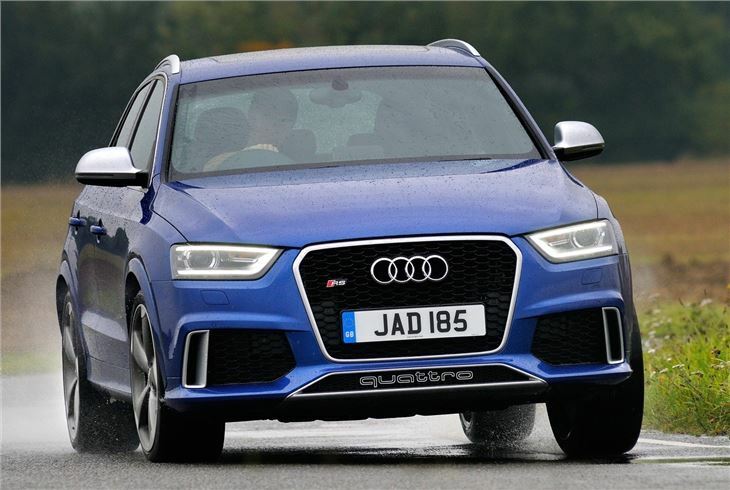 Put the RS Q3 to task and it’ll thunder along with gusto, with the torque flowing freely from 1500rpm to 6700rpm providing instant acceleration, no matter what gear you are in. The power distribution is superbly balanced, with the four-wheel drive system working in harmony with the twin‐clutch transmission to inspire confidence at high speeds. You also have the option to change the driving characteristics, via the drive select system, from comfort to dynamic mode, which stiffens the steering and opens a flap on the tailpipe to make the car howl for a true sports car experience. It’s tremendous fun and highly addictive. Admittedly, there’s a noticeable amount of body roll in the corners, but you never get the impression that you’re losing touch with the car. We tested the Q3 in both the wet and dry, but it felt surefooted throughout and only the truly reckless will get punished here. The steering is sharp too, providing instance response and supple levels of feedback. 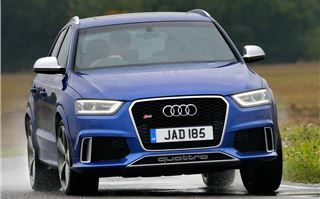 Pushed hard, the RS Q3 will lose front end grip, but this is to be expected of a vehicle of this size and it’s debatable how many customers will really try and take this car to its limits. 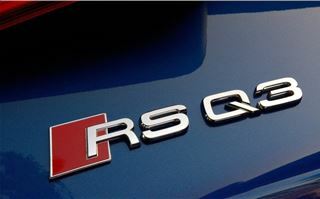 So, is the RS Q3 worth the premium? 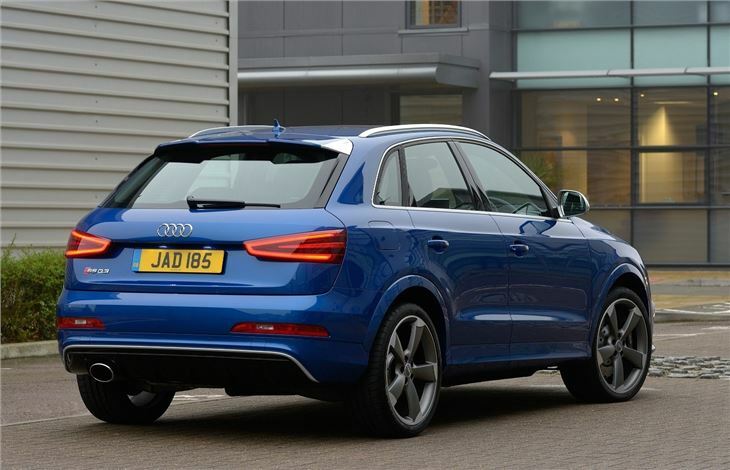 It is, after all, £12,000 more expensive than the nearest Q3. Well, to be honest, the answer is yes and no. 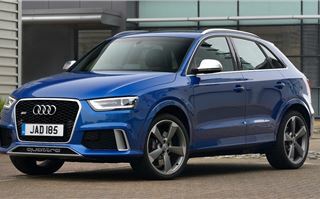 Make no mistake, the RS Q3 is a fine car, that will beat a Golf GTI off the lights and wipe the floor with a comparable Porsche Cayenne. However, the question we ask is, how many people want an SUV that can do that? 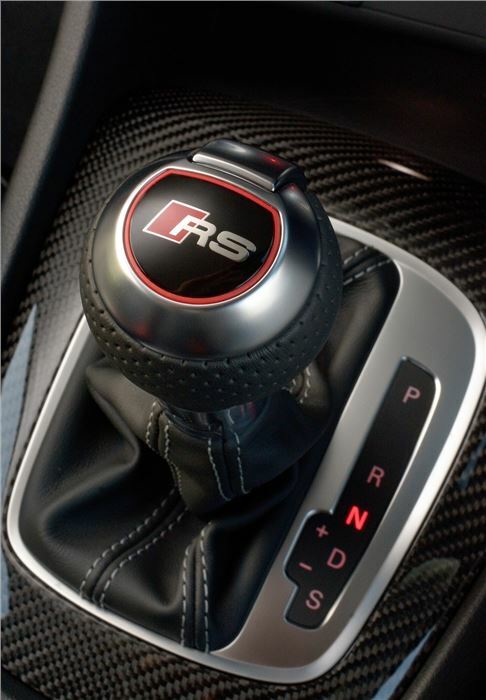 If you are one of those who do, then we suggest you test drive the RS, because you’ll love it the moment you fire up the engine. 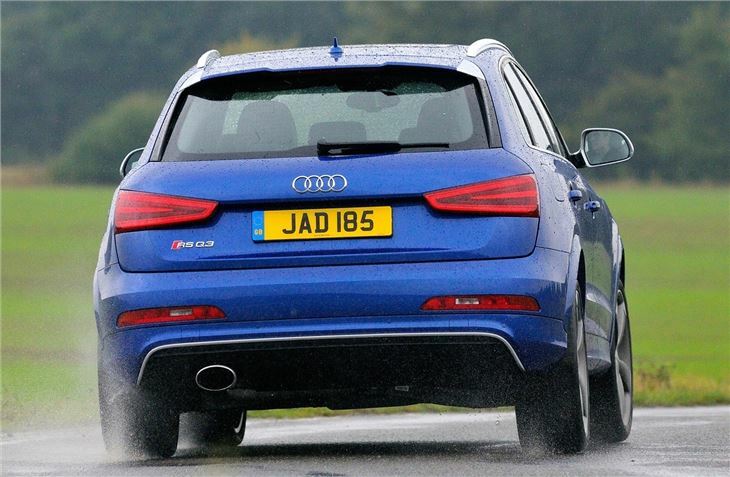 If you don’t, then simply buy a 2.0 TFSI Q3, because it's also a fine car.